For all the Halloween fun without the BOO’s, After Dark in the Park is your destination. 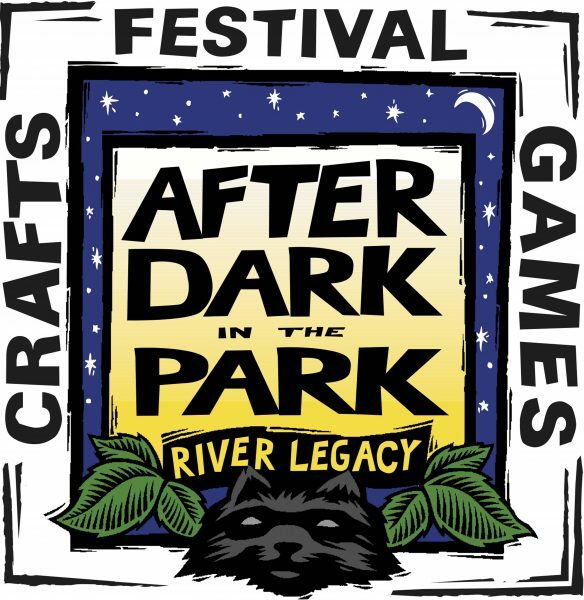 This family friendly event is this weekend, October 6, 7 and 8, between 5pm – 9pm, at the beautiful River Legacy Park and Science Center. Geared for families with kids ages 2 – 10 years old, they’ll enjoy bounce houses, a pumpkin patch, animal encounters, temporary tattoos, karaoke and even a photo booth. General admission is $8 per person for ages 3 and up. Coupons are needed for some food and activities, but there’s over 20 FREE activities at After Dark in the Park. Parking for the event is FREE at Dunlop Park. Hop on the River Legacy shuttle for an easy ride in and out of the event. Purchase your Family Fun Package by October 5 and get 4 tickets, plus 20 $1 coupons (a $52 value) for $45. Note: this package is not available at the gate. For more information, visit the website at After Dark in the Park.